Since Michelle Cunningham started her home bakery Doughnut Dilemma last January, she's been hoping to open a bricks-and-mortar store. "It is obviously a lot scarier to go all out [at first]," she says. "The home bakery made it a whole lot easier to gain some awareness and let people know we're there." Now, having developed a cult following at the Burlington Farmers Market and through direct ordering, the South Burlington baker is taking the next step. If all goes as planned, Doughnut Dilemma will open in the former Big Fatty's BBQ space at 55 Main Street in Burlington at the end of March. What can customers expect? "The smell of amazing doughnuts when they walk in!" Cunningham declares. Coffee and espresso from Uncommon Grounds, hot chocolate, and tea will add to the aroma. Limited seating will allow guests to stop in for those hot drinks while they indulge. But the main event is the sweet stuff. With her expansion into the store, Cunningham will make the transition from three countertop fryers in her home to an industrial one that cooks 36 rounds at a time. Her days of making a maximum of 700 doughnuts in a weekend — and knowing she could have sold more — will soon be over. "And my house won't smell like doughnuts anymore," she says. 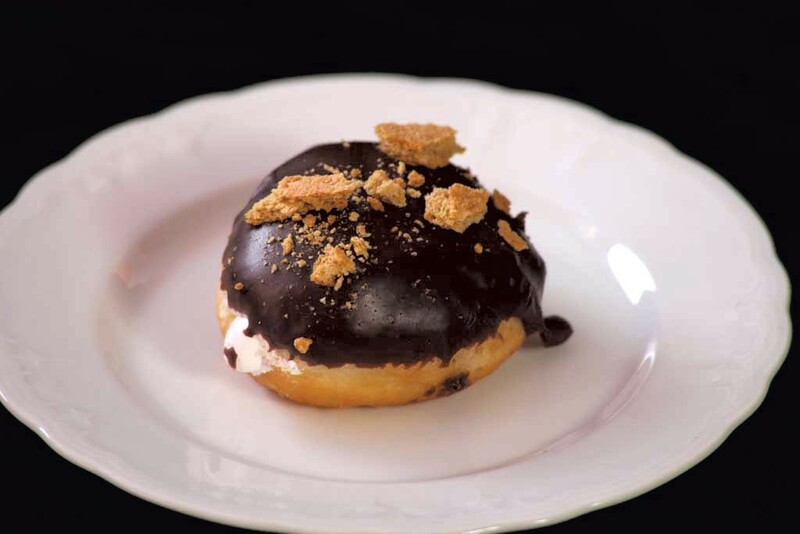 Doughnut Dilemma has gained a reputation for uncommon flavors, including Rice Krispies treat and s'mores. Toasted coconut and maple-glazed are among the most popular varieties, Cunningham says. When the store opens, Cunningham will debut new options — a pineapple upside-down-cake doughnut is in the works. She may also heed requests from the farmers market patrons who've expressed their yen to taste bacon in her maple doughnuts. The menu will change weekly, with special additions for holidays. At last Saturday's Valentine's Day farmers market, for instance, Cunningham incorporated fresh raspberries into cake and yeast doughnuts. For St. Patrick's Day, she plans to make a Guinness doughnut, as well as one flavored with Baileys Irish Cream. With the luck of the Irish, her Burlington store will open soon after. The original print version of this article was headlined "Dilemma Solved"